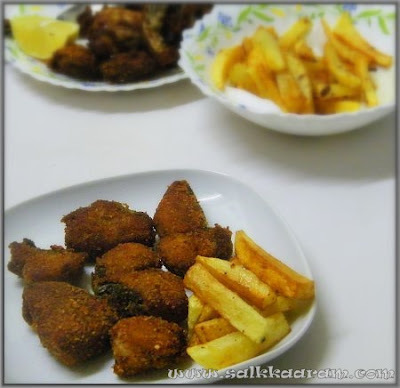 Crispy Fried Fish | Simple and Delicious ! 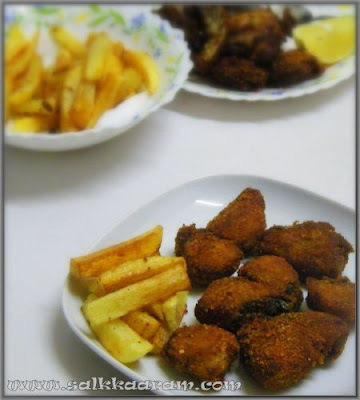 The weather is still cold enough to have some crispy fried fish along with home made potato chips! Enjoy with rotis or soups or just take as a snack. Marinate with pepper powder, garlic ginger paste and salt. Keep it for some time. Roll over cornflakes powder, and deep fry. Pour lemon juice over it while serving.